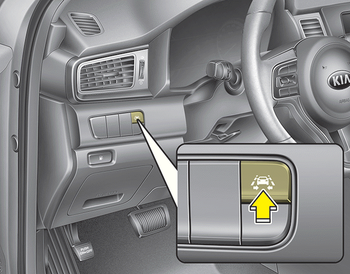 To turn on the LKAS, push the button with the ignition switch in the ON position. The LKAS indicator (green) will illuminate. To turn off the system, press the button again. The indicator turns off.